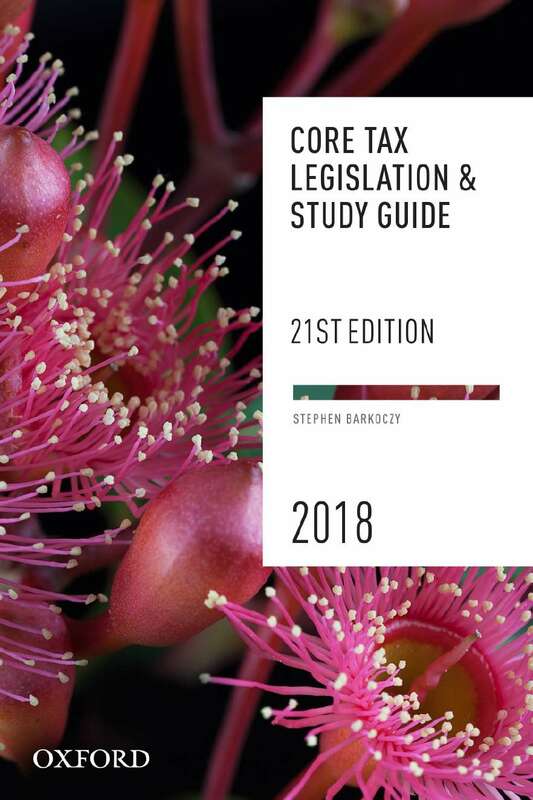 Core Tax Legislation & Study Guide 2018 is a reference text for students undertaking tertiary and professional courses in Australian taxation law. It covers the key legislative provisions relating to federal taxation and has been updated to incorporate all amendments to 30 September 2017. This single volume text is divided into three parts.Part 1 is a Study Guide with advice on developing the practical skills required to succeed in studying taxation law, including writing and presentation skills, strategies for writing assignments, exam preparation and research techniques. A list of tax websites and journals is included for further reference.Part 2 consists of Core Tax Legislation including the key income tax, GST, FBT, superannuation and tax administration legislative and regulatory provisions.Part 3 is a Legislation Index, covering the relevant legislative and regulatory provisions in Part 2.Core Tax Legislation & Study Guide 2018 can be used in conjunction with Foundations of Taxation Law 2018, Australian Taxation Law 2018 and the Australian Tax Casebook 2018.